Although the Eparchy of Edmonton was not officially erected until 1956, its origins coincide with the beginnings of the Ukrainian Catholic Church in Canada , and, therefore, date back to the late 1800s. Two of the Eparchy’s best known faithful were Wasyl Eleniak and Ivan Pylypiw, who left their village Nebyliv of the Province of Galicia in September, 1891, and settled near Mundare , Alberta, thus becoming the first documented Ukrainians in Canada. They and thousands of other immigrants, many of them agriculturists, established their homesteads in Western Canada . The majority of these immigrants were Catholic, and once in Canada , found themselves under the jurisdiction of the established Roman Catholic hierarchy. The Latin Church, through the efforts, in particular, of Archbishop Adelard Langevin, Bishop Albert Pascal, and the saintly Bishop Vital Grandin, did its best to provide spiritual care to the Ukrainian immigrants. 1) Since the Ukrainian Catholics in Canada had few of their own priests, and since the Latin missionaries were not knowledgeable of the Old Slavonic divine worship and traditions, the immigrants were without effective religious leadership. 2) The newcomers, accustomed to a married clergy, were aggravated when Latin bishops insisted that only celibate priests be allowed entry into Canada. 3) The immigrants were not accustomed to the Church being separate from the State. When the Roman Catholic Bishops attempted to register all Ukrainian Churches and properties under its ecclesiastical authority to protect them under civil law, the immigrants felt they were being subjugated by the Latin Church. Alarmed by the advances made by other non-Catholic Churches competing for the souls of the Ukrainian immigrants, the Latin Bishops made repeated attempts to secure celibate Ukrainian priests from Rome, Vienna, and Lviv. Their untiring efforts were rewarded when in 1902 three priests of the Order of St. Basil the Great (Platonid Filias, Superior; Sozont Dydyk; and Anton Strotsky) and one brother (Jarenija Yanishewsky) and four members of the Sisters Servants of Mary Immaculate (Ambrosia Marcella Lenkewich, Superior; Taida Helen Wrublewsky, Isidore Pauline Shypowsky and Emilia Klapowchuk) arrived in Canada, largely through the interventions of Metropolitan Andrew Sheptytsky and Father Albert Lacombe. In addition, several Latin priests transferred to the Ukrainian rite, the first of which included members of the Redemptorist Order from Belgium (Achilles Delare, Henry Boels, Natalis Decamp, Charles Recheur) and several French Canadians (A. Sabourin, D. Claveloux, O. Gagnon, A. ‘F Desmarais, and J. Jean). However, even these efforts were no match for the spiritual needs required by the immigrants. And thus the Latin hierarchy feared that unless the situation improved by the appointment of a Ukrainian Bishop in Canada, the majority of Ukrainian Catholics would be lost. In 1912, the Apostolic See of Rome looked favourably upon the repeated plea, in particular, of Metropolitan Sheptytsky and on July 15, Pius X, with the Apostolic letter Officium suprerni aposrolatus, erected the Apostolic Exarchate for the faithful of the Ukrainian rite in Canada . At the same time, the Pope appointed Nicetas Budka of the Archeparchy of Lviv as Titular Bishop of Patara and Apostolic Exarch for the Ukrainian faithful in Canada . Already by 1912 the missionary territory of the Eparchy of Edmonton, which then included the Provinces of Alberta and British Columbia, and that portion of the Northwest Territories immediately north of these provinces, had 22 churches, 2 monasteries, 2 convents, 2 parochial schools, and 20,000 faithful. But with the arrival of Bishop Budka, the mission work was intensified. In 1913, the parochial school at Mundare was enlarged. In 1918, a hostel for university students was opened in Edmonton by the Basilian Fathers, and another in 1925 by the Christian Brothers. In 1922, a Basilian novitiate was built at Mundare and the Sisters’ novitiate enlarged to accommodate growing numbers. By the late 1920s the Eparchy had 42 churches. In 1929, Bishop Basil Ladyka succeeded Bishop Budka, who returned to Lviv due to ill health. Bishop Ladyka opened several new missionary territories throughout Alberta and British Columbia. In 1929, the Ukrainian News, a weekly Ukrainian Catholic newspaper, began to be published in Edmonton under the auspices of Bishop Budka, another publication at the Basilian Press at Mundare, and a youth magazine in 1944 in Edmonton. Also in 1929, a Ukrainian hospital was built in Mundare under the administration of the Sisters Servants, a second in 1935 in Willingdon. With the increase in the number of priests and sisters, a new catechetical movement was inaugurated in Alberta. Provincial congresses were organized in Mundare attracting 12-15,000 faithful. New organizations based upon the principles of Catholic Action were started, namely, the Brotherhood of Ukrainian Catholics, Ukrainian Catholic Women’s League, and Ukrainian Catholic Youth. In 1945, the Basilians opened a hostel in Edmonton for male university students in the name of St. Josaphat’s Institute, and another for female students in the following year. By 1947, the Eparchy consisted of 82 churches and 56 missions, a novitiate, 2 hospitals, an orphanage, 2 Catholic presses, 2 youth hostels, 3 parochial schools, 3 publications, 3 Basilian monasteries and 6 residences, 3 convents. The 60,000 faithful were served by 32 Basilian and 2 secular priests. As the number of Ukrainian Catholics in Canada continued to grow, it soon became apparent, that it was impossible for one bishop to govern such a vast nation-wide Exarchate. In the early 1940s, Bishop Ladyka petitioned the Apostolic See of Rome for assistance. In response, on April 3, 1943 , Pope Pius XII appointed Neil Savaryn as Titular Bishop of Iotanus and Ladyka’s Auxiliary. Five years later, when the Apostolic Exarchate of Canada was divided into three Exarchates by Pius XII on March 3, 1948 , Bishop Savaryn was named Apostolic Exarch of the Western Exarchate. 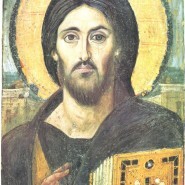 On November 3, 1956, when Pius XII erected an ecclesiastical province for the Ukrainian Catholics in Canada, the Metropolitan See of Winnipeg (the third province in the history of the Ukrainian Catholic Church and the first outside of Ukraine), Bishop Savaryn was appointed Eparch of the Eparchy of Edmonton. Under Bishop Savaryn leadership, the Eparchy continued to grow and develop, in particular as a result of the convocation of an Eparchial Assembly, held on November 11-13, 1952, in Edmonton. The Assembly resulted in the promulgation of numerous ecclesiastical norms which governed the conferral of sacraments and administration of parishes within the Eparchy. This Assembly can be said to have provided the impetus for the convocation of a Provincial Synod of the Winnipeg Metropolia, the eight provincial synod of the Ukrainian Church since its inception in 1988. The Acts and Decrees of the Eparchial Assembly were used extensively in the preparation of a schema of the norms for the Provincial Synod. Following a visit to Canada on June 14-20, 1968, Patriarch Joseph Slipyj encouraged the Ukrainian Canadian hierarchy to petition the Apostolic See of Rome to divide the Eparchy into two: one in the Province of Alberta and one in the Province of British Columbia. The petition was also to include a request to raise the dignity of the Eparchy of Edmonton to that of an Archeparchy, distinguishing Bishop Savaryn as an Archbishop. The Eparchy was divided on June 27, 1974 , by Pope Paul VI who erected the Eparchy of New Westminster, with Jerome Chimy as its first Bishop. At the same time, Demetrius Greschuk was appointed Auxiliary Bishop of the Eparchy of Edmonton. The request to elevate the Eparchy to an Archeparchy was not granted, partly dueto a clerical oversight on behalf of the Canadian Catholic Conference. With the death of Bishop Savaryn on January 7, 1986 , Bishop Greschuk was appointed Eparch on April 28, 1986. Following his death on July 9, 1990, Bishop Myron Daciuk, then Auxiliary Bishop of the Archeparchy of Winnipeg was appointed Eparch on November 11, 1991. Bishop Daciuk died on January 16, 1996, at which time Very Rev. William Hupalo was appointed Administrator of the Eparchy. On April 3rd, 1997 Reverend Lawrence Daniel Huculak, OSBM, was ordained Bishop; on April 6th, 1997 , and was installed as Bishop of the Ukrainian Catholic Eparchy of Edmonton. 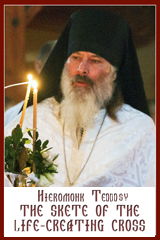 On January 25, 2007, Bishop David, who was the auxiliary of the Metropolitan in Winnipeg, was appointed Bishop of the Eparchy of Edmonton and was enthroned on March 24, 2007. The Eparchy currently has approximately 30,000 Ukrainian Catholic faithful with 89 parishes and missions, and is served by 25 secular priests, 10 religious priests, 10 retired priests, 4 deacons, and 26 women religious.